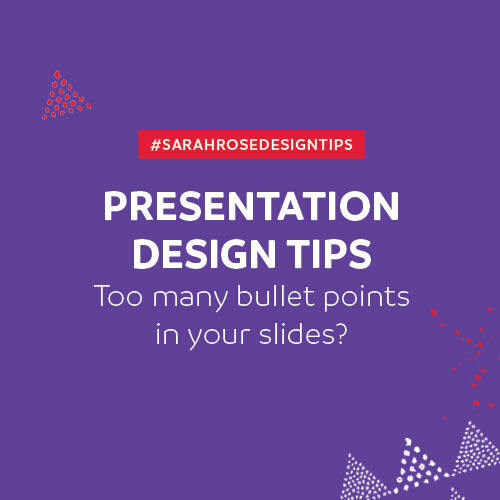 Presentation Design Tips: Too Many Bullet Points in Your Slides? Bullet points are great for summarising key ideas and concepts—that is true for articles, blogs and other documents. Unfortunately, it is not the case for presentation slides. All too often, you’ll see many speaker bombard their audience with slides full of bullet points (in fact, they contain nothing but bullet points). Presentation designers will normally cringe at the sight of such a slide. But why do presentation designers or graphic designers (as well as many experienced speakers) don’t recommend using bullet points on your presentation slides? 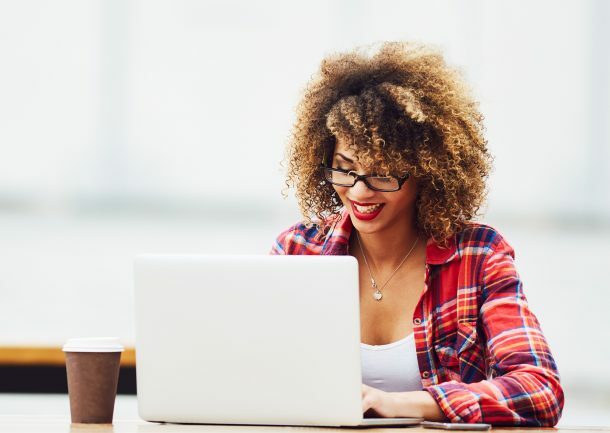 When you fill your presentation with bullet points, here’s what actually happens. As soon as your first slide goes up, everyone starts reading all the texts (and writing them down on their notebooks) you place there. When they do, you’ve basically lost their attention—so you really can’t expect them to listen to you as you expound on each sentence you wrote on the slide. In fact, you can’t expect them to listen to the rest of your presentation since they’ve basically read everything and already know the gist of your presentation. You may think that that’s okay, people can multitask, right? Be that as it may, you still don’t have the full attention of the audience while you speak—which can make it pretty difficult to engage them during your presentation. So if you can’t use bullet points, what do you do? One mistake you can do is to cram every bit of information on one particular slide. But why? Say you have 10 points to make, why would you cram all ten points in one slide? Slides are free! Why not use 10 slides—one for each point you want to make? And don’t write a whole sentence on the slide (unless you really need to). Instead, take the keywords or phrases and write them in big and bold letters and put an accompanying image. Then you can go on and explain what that slide means—your audience will be much more attentive now since they don’t have anything else to read or take note of. If you want to write your whole speech on your slides, you the speaker may as well leave the room. But you already made a presentation, what would you need handouts for, right? Handouts can be really helpful especially if you have a lot of things you want to discuss but your presentation time is limited. Some speakers who don’t use handouts usually try to cram every bit of text and information in their slides, which is why they end up using too many bullet points in them. Just focus on the main idea in the slide, then expound on it through your presentation. Whatever information you can’t squeeze into your time, put them in the handouts. And no. A printout of your Powerpoint slides are not considered as handouts. Presentation slides are supposed to aid you in your presentation—they are not Teleprompters for you or reading materials for your audience. Key takeaways: Avoid putting too much text and bullet points in your presentation slides. Instead, use keywords or key phrases along with great images to interest your audience. Having trouble putting all these together in one cohesive presentation slide? Don’t be shy to ask help from a presentation designer or a graphic designer.